Two former inmates from the US military prison at Guantanamo Bay have arrived in Serbia where they will be set free. In an interview with Sputnik psychotherapist Zoran Milivojevic was of two minds about the men’s chances of reintegrating into traditional society. Tajik national Muhammadi Davlatov and Yemeni national Mansur Ahmad Saad al-Dayfi had been held on suspicion of links to terrorist organizations. Mansur Ahmad Saad al-Dayfi was allegedly in the know about the planned 9/11 attacks on New York and Washington. According to Serbian media reports, the two men will initially be moved to secret locations, primarily to rule out their possible recruitment by terrorist groups. Zoran Milivojevic said that their reintegration into normal society was theoretically possible but added that in practice, much depended on the community they will live in and whether they remain the religious fanatics they once used to be. However, since the two men’s release had been agreed on a state level, Dr. Milivojevic was sure that the men will be placed under the care of professional psychologists. “I don’t think they will ever look back again, but if they fail to adapt here they might want to return to their natural habitat, so to say, I mean the Muslim society where they will be up to their old tricks,” he said. He said that the two could be accepted into the country’s Muslim community, but added that if they are dangerous terrorists then they could try to recruit local Muslims to join terrorist groups. “In any case, this is an attempt by [Barack] Obama to fulfill his longtime promise to shut down Guantanamo which has given America such a bad name in the world,” Professor Bakic added. 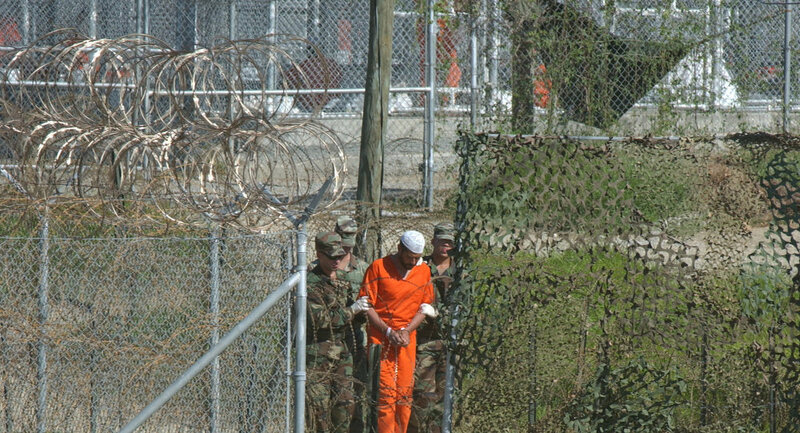 Late last month Montenegro also received its “portion of Guantanamo” with the arrival of Abdel al-Rahabi, a Yemeni national suspected of once serving as a personal bodyguard to al-Qaeda’s late leader Osama bin Laden – a charge which has never been backed up by hard evidence.